Any parenting, primary education or women's writers with a child/ren aged 7-12 interested in coming along (with child/ren) to a Little Inventors workshop at the Harper Collins offices (1 London Bridge Street) on Monday 22nd October from 9-11.30am? 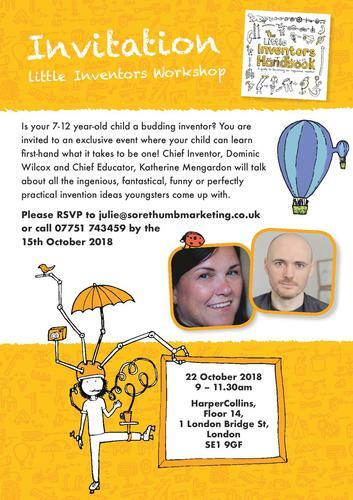 It's to mark the launch of the Little Inventors Handbook (£9.99 from www.collins.co.uk/littleinventors) and chief inventors Dominic Wilcox and Katherine Mengardon will be aiming to get the children inspired to think up fantastic new inventions. Great way to spend the first morning of half term! Dominic and Katherine are passionate about nurturing new talent and encouraging kids to coax an idea out of their imagination and into the real world. 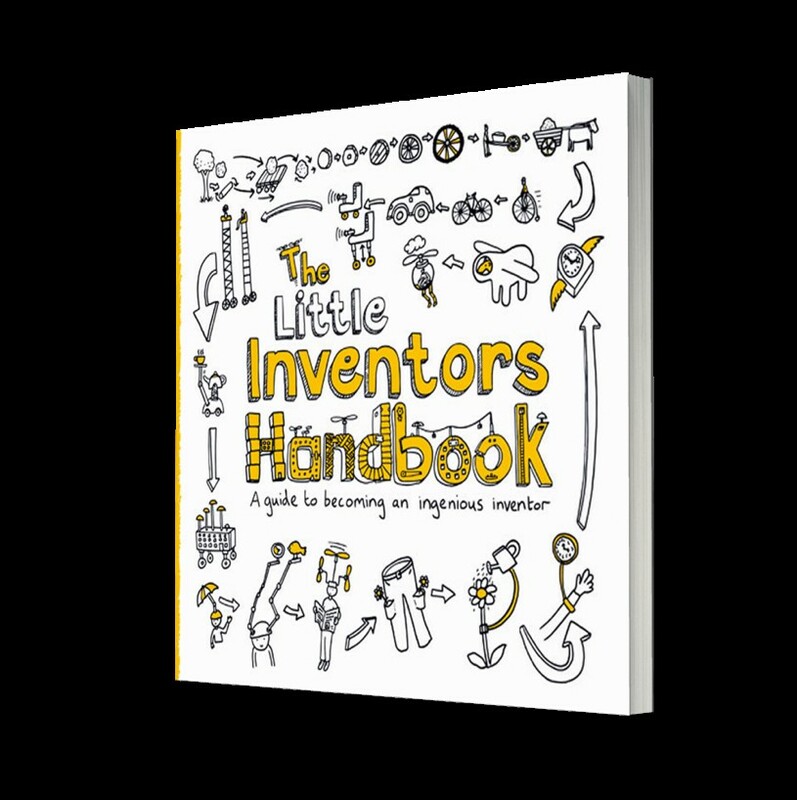 Through this workshop and in their new book, they take the next generation of Little Inventors through the process of coming up with new ideas, including: where to start; problem-solving; ways to make objects better and how people use things. The workshop, like the book, will encourage every 7-12 year-old to become a creative inventor. It motivates budding inventors to think big and have fun with their imaginations! Be inspired by drawings of scarf helicopters and ghost wash’n’dry machines! Check out toothbrush maracas, nose scratchers and ladybird umbrellas! As children come up with new ideas, they can share them on the Little Inventors website at www.littleinventors.org, where the team of Magnificent Makers will turn the most innovative ideas into real objects for amazing Little Inventor exhibitions. All children retain the copyright in their invention drawings. This press release was distributed by ResponseSource Press Release Wire on behalf of Sore Thumb Marketing in the following categories: Children & Teenagers, Women's Interest & Beauty, Education & Human Resources, for more information visit https://pressreleasewire.responsesource.com/about.